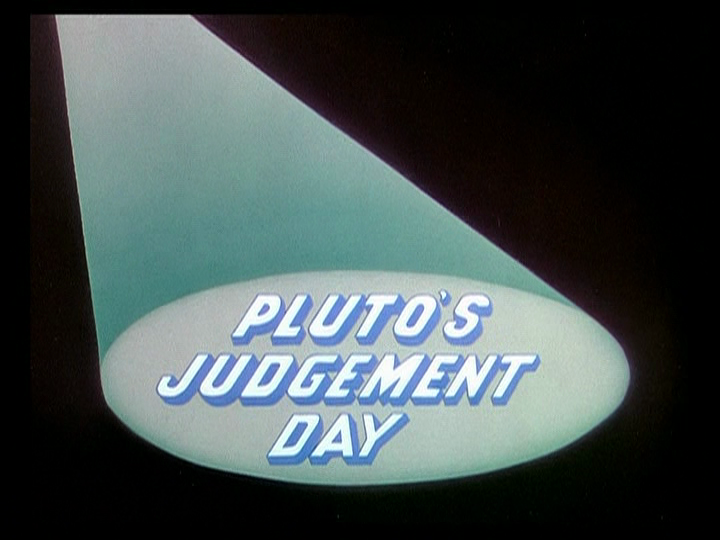 On August 31, 1935, the Mickey Mouse short film Pluto’s Judgement Day was released to theaters. It was directed by Dave Hand. The short begins with Pluto chasing a kitten around the yard until it jumps inside the house. The chase creates a huge mess, and Mickey chastises the pup. Pluto angrily lies down in front of the fire and starts to nap while Mickey cleans up the frightened kitten. Pluto then dreams that a cat has come to the door to call him out for a challenge, and Dream Pluto heads out, though Dream Mickey attempts to stop him. Pluto is led to a special cat cavern, where he is taken deep below and decried as Public Enemy No. 1. He is sentenced for his crimes against all cats, with the judge, jury, and all present all cats, with a wink to the audience that justice certainly is not on Pluto’s side. Each witness is brought in, with one crime more horrific than the next. The jury deliberates for one second before they deliver a guilty verdict for Pluto, and the cats carry him out to his punishment of being held over a fire. Pluto is woken up by a stray piece of coal from the fire, and lands in the tub, splashing Mickey and the kitten. Although initially frightened of the kitten, Mickey convinces the pair to kiss and make up. Posted in Uncategorized and tagged 1930s, Color, Mickey Mouse, Pluto, Short film. Bookmark the permalink. On August 30, 1908, Frederick Martin MacMurray was born in Kankakee, Illinois. His family moved to Wisconsin when he was a boy and after graduating from high school, he earned a scholarship to Carroll University. He supported himself through college by playing the saxophone and performing as a vocalist for local bands; he ultimately did not graduate from college. In 1920, MacMurray headed west to Los Angeles, where he found work with the California Collegians vocal ensemble, which appeared in several Broadway productions. MacMurray ended up as Bob Hope’s understudy for the production Roberta, and scored a screen test and studio contract after being scouted by a Paramount talent scout. 1935 found MacMurray in the film The Gilded Lily alongside Claudette Colbert, and became a star overnight. Walt Disney hired MacMurray for the first live-action comedy for the studio called The Shaggy Dog, which went on to be a surprise hit in 1959. All in all, MacMurray was hired for seven live-action feature films, including Follow Me, Boys!, The Absent Minded Professor, and The Happiest Millionaire. His last feature for the studio was 1973’s Charley and the Angel. In 1987, MacMurray had the honor of becoming the first Disney Legend, honored for his work in entertaining millions. He passed away in 1991 at the age of 83. 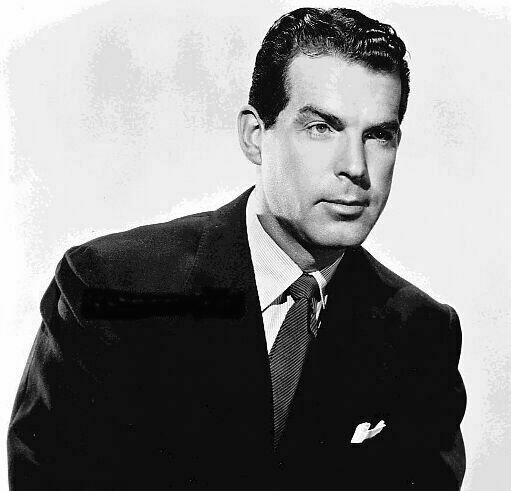 Posted in Uncategorized and tagged Actor, Black and white, Color, Disney Legend, Live Action. Bookmark the permalink. On August 29, 1905, Charles Alfred Taliaferro was born in Montrose, Colorado. 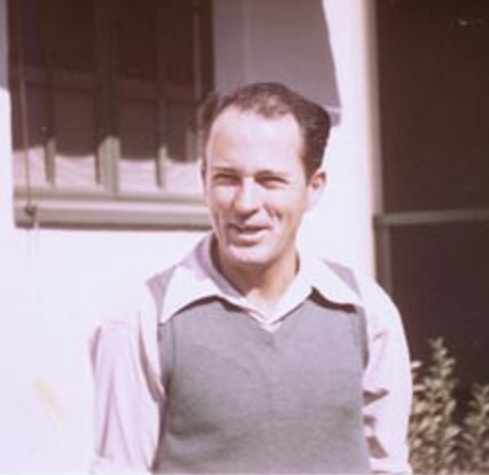 As a young man, his family to Southern California and, after graduating from Glendale High School in 1924, he took correspondence art courses and studied art at the California Art Institute. In 1931, he scored a job at the Disney Studios as the assistant to comic strip artist and fellow Disney Legend Floyd Gottfredson, who was working on the Mickey Mouse daily strip and the Sunday strips. During Taliaferro’s tenure, Donald Duck made his Disney premiere in the Silly Symphony The Wise Little Hen. Once the Silly Symphony made its way to the Sunday strips, Taliaferro realized the commercial potential for Donald Duck, and lobbied to give the character its own strip. Although there was some resistance to give Donald his own strip, Taliaferro prevailed and on February 7, 1938, the Donald Duck strip premiered. Working with colleague Bob Karp, the strip proved to be a huge success. Taliaferro found more success in the creation of three new characters: Donald’s nephews Huey, Dewey, and Louie. They proved to be so popular that a short film was created for them: Donald’s Nephews, which was released on April 15, 1938. Taliaferro passed away on February 3, 1969. He was posthumously honored as a Disney Legend in 2003. Posted in Uncategorized and tagged Births, Comic, Disney Legend, Donald Duck. Bookmark the permalink. The party starts with a lively rendition of “Minnie’s Yoo Hoo,” and then leads into a group of ducks dancing merrily to “Swanee River.” The barnyard cheers wildly before the next dance, which is a rooster and a hen performing an Apache dance, with the chicken rushing off to lay an egg mid-performance. The rooster crows with pride, and everyone once again cheers. The next performance is a pig performing opera, whose bloomers keep falling down as they sing, but this performance is met with booing from the crowd. The pig is then carried away with a hook, and it is announced that Mickey will perform his theme song. His singing and dancing is then met with much adulation. 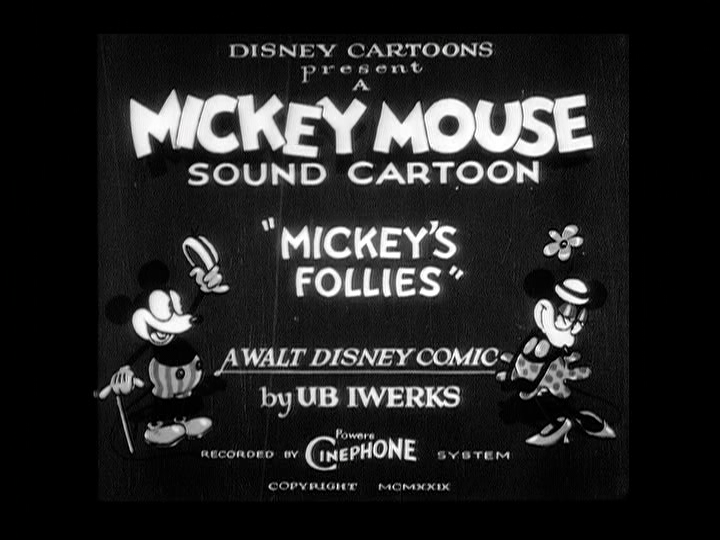 Posted in Uncategorized and tagged 1920s, Black and white, Mickey Mouse, Short film. Bookmark the permalink. 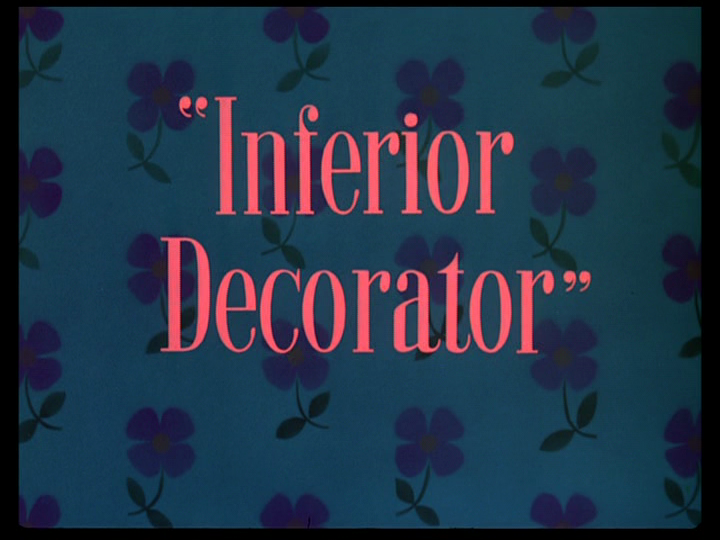 On August 27, 1948, the Donald Duck short film Inferior Decorator was released to theaters. It was directed by Jack Hannah, with story by Lee Morehouse and Bob Moore. Spike the Bee is buzzing happily amongst the flowers, when he hears a horrible singing inside the huse. He sees Donald plastering some flower wallpaper and, thinking that these are real flowers, he runs into the wall. Donald, observing Spike, plays a cruel prank on the bee, capturing him in a bucket of wallpaper paste. Spike tries to escape, and Donald cuts the paste that is attached to Spike, sending him hurtling into the ceiling. Donald sends the dizzy bee outside, but Spike angrily makes his way back in tries to sting Donald’s tail, but gets caught on the sticky wallpaper. As Donald tries to shake Spike off, he gets the wallpaper and himself stuck on the ceiling, leaving himself open for Spike’s attack. Donald is able to dodge the attack with a well-placed cork, but Spike is able to free himself and once again ready himself for a sting. Spike calls in reinforcements from his hive, and they all go sting Donald one by one. On August 26, 2008, the direct-to-video animated feature The Little Mermaid: Ariel’s Beginning was released on DVD and Blu-Ray. 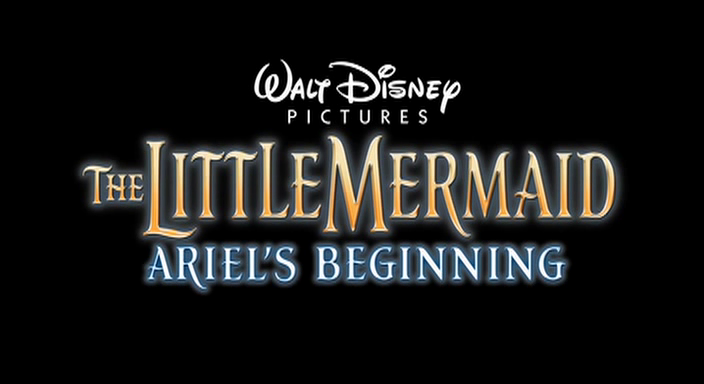 The film, a prequel to the hit 1989 animated feature The Little Mermaid, was written by Julie Selbo and Jenny Wingfield, with screenplay by Robert Reece and Even Spiliotopoulus. It was directed by Peggy Holmes, and stars Jodi Benson as Ariel, Samuel E. Wright as Sebastian, Sally Field as Marina Del Ray, and Jim Cummings as King Triton. The film begins with an introduction of Atlantica, with a young King Triton playing with his daughter Ariel, and listening to his wife Athena sing to their daughters. Triton gifts Athena a special music box that plays their song, and it is revealed that life is wonderful and magical. Things change when a strange boat of pirates travels to their cliffs, and Athena is killed when she tries to retrieve the music box, and the pirate ship crashes into her. Triton is devastated at his loss, and music was banned from Atlantica. Ten years later, Atlantica is still thriving, and Ariel is as precocious as ever. The girls are woken by their governess, Marina Del Rey, who hates her job. The girls go to greet their father, as is routine, and Ariel asks that they go swim by the reef instead. Triton, still grieving for his loss, strictly forbids it, and the group goes on their morning walk, where Ariel plays a prank on her sister. Ariel gets lectured by her father for disrupting their routine, and he punishes her harshly. Marina vents to her assistant Benjamin the Manatee, as she wants Sebastian’s job. She comes up with a plan to rid the kingdom of Sebastian and take over his job. Meanwhile, as Ariel toils away at her punishment, Flounder swims on by, playing some music. Ariel hears him and asks him to do it again, but he nearly gets arrested by two guards for breaking the Triton Act, the law that outlaws music. Flounder grabs her and the two swim away, with the guards in pursuit. The pair run into Sebastian, and Sebastian orders Flounder to be taken away to the dungeon. Ariel covers for him, and he is let off with a warning, though Ariel is sent back to her room. Triton comes by to bid the girls goodnight, but Ariel is less than receptive. Soon after Ariel spies Flounder sneaking out of the palace grounds, and she decides to follow him. She finds him heading into a secret building, which is revealed to be a music club, surprisingly led by Sebastian. Ariel’s appearance spooks the club members, even though she promises not to tell. She starts recalling a melody from a long time ago, and the sea creatures join in with her song. Sebastian begrudgingly makes him a member of her music club. The next morning, Sebastian and Marina are called in front of Triton, who says that there is a problem with Ariel. Triton asks Sebastian to take care of Ariel, much to the surprise of both Marina and Sebastian. Ariel’s sisters question where she was the previous night. Attina, the eldest, worries about Ariel, and Ariel finally explains the underground club. The girls suddenly realize how much they miss their mother, and they all ask her to take them to the club. Marina is confused and suspicious as to why the girls are awake on time. That night, the princesses all head to the club, and see Sebastian, who is less than thrilled to see the princesses. Although they are having the best time, they absence does not go unnoticed by Marina, who tracks them down to the club. Once she sees Sebastian, she realizes that she has her leverage to get his job, and runs straight to Triton. The girls continue to go to the club, and one night, the club is invaded by the palace guards and Triton. Triton has Sebastian and the other club goers locked away, and gives Marina Sebastian’s job. Triton then destroys the entrance to the club. Back at the palace, the girls are placed under house arrest, and Ariel demands to know why music is forbidden in the kingdom. 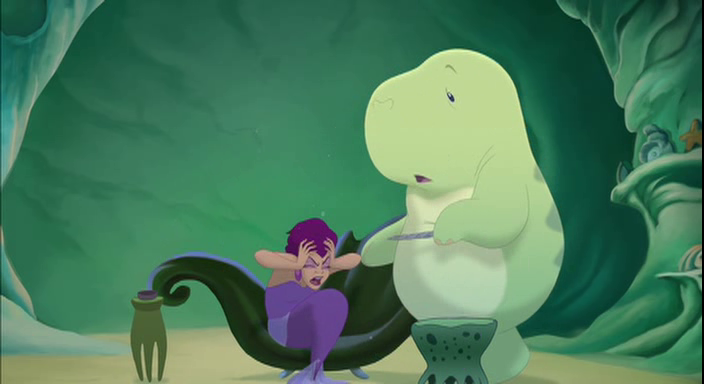 Triton tells her that there will be no music in the kingdom, to which Ariel replies that her mother wouldn’t have wanted that before swimming away. Ariel’s sisters turn their back on her as well, as they believe she’s made the situation worse. Marina is over the moon about her new position, with the power going straight to her head. That night, Triton finds a statue of his wife and sits by it, distraught. Ariel, similarly distraught, swims out of her room and heads to the jail to free Sebastian and the other band members. She decides to run away from Atlantica, and the group goes with her. Sebastian leads them to a secret area, with Flounder leading them song on the way. Benjamin has noticed Ariel’s absence, and pulls Marina aside to tell her, although Attina tells Triton first. Triton reassures her that they’ll find Ariel, and heads off to find her. Marina, angered at this slight, especially since Sebastian is missing as well, heads off on her own search with her group of electric eels, vowing to get rid of Ariel as well. Sebastian has led the group to their destination, and explains to Ariel that there’s more to this place than it appears. The next morning, Ariel wakes up and hears something nearby, and finds her mother’s old music box. Sebastian explains that it was an anniversary gift, and why Triton took Athena’s death so hard. Ariel, finally understanding her father’s pain, decides to bring the music box home to Triton, much to Sebastian’s glee. Ariel, Sebastian, and Flounder head back, but meet up with Marina’s eels, who attack. 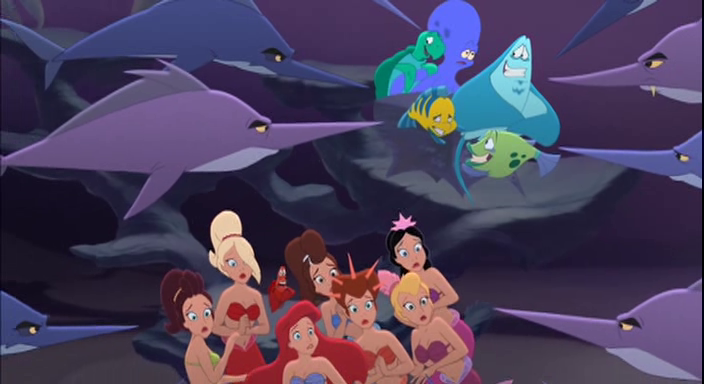 Sebastian tries to protect Ariel and Flounder, and the rest of the band appears to help protect the trio. Ariel gets hurt when she rushes to protect Sebastian from Marina, and Triton, who saw the entire thing, rushes to her side. The music box opens and plays the song, and Triton sings it, waking Ariel. In the end, Triton brings music and happiness back to the kingdom, and appoints Sebastian as the court composer. Marina is locked in jail with Benjamin, and after Benjamin consoles her, the two dance in their cell. Posted in Uncategorized and tagged 2000s, Animated Feature Film, Color, Direct-to-Video. Bookmark the permalink. 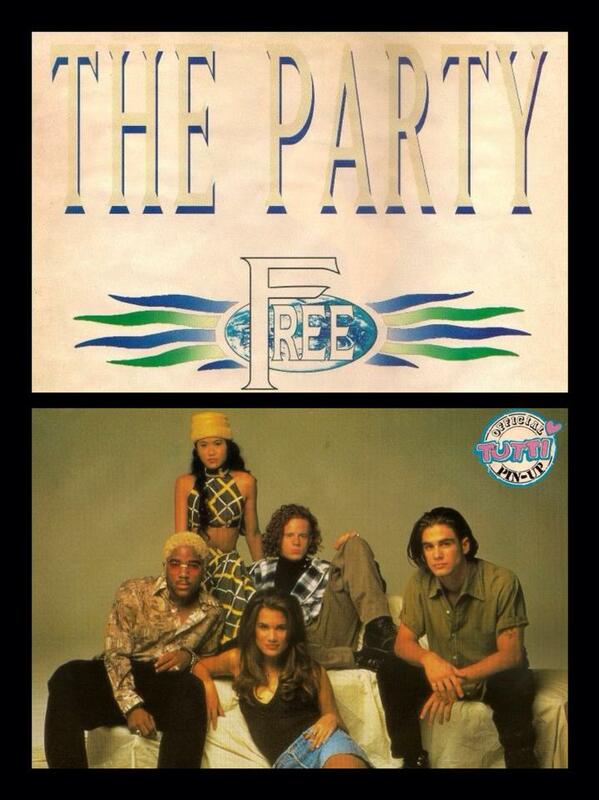 On August 25, 1992, the second studio album by the band The Party was released through Hollywood and Elektra Records. The band was comprised of five members of the Mickey Mouse Club: Albert Fields, Tiffini Hale, Chase Hampton, Deedee Magno, and Damon Pampolina. The album, named Free, had the band working with the likes of record producer Teddy Riley, Dr. Dre, and E-Smooth. The album was more mature in sound and lyrics than the first album, and had two singles: “Free” and “All About Love.” The band promoted the album alongside the band Color Me Badd, as well as on an episode of the hit show Blossom. The album was not as successful as its predecessor, and the group would disband in 1993.